The Main Stream Financial Media is quick to declare that the trade war is ancient history and the Fed has gone on hold with interest rates. Neither is true. The Main Stream Financial Media would love to have investors believe that the recent problems in the global equity market are all about a trade war with China. Therefore, everything can be made right just because Trump shook hands with Xi Jinping at the G-20 meeting in Argentina. 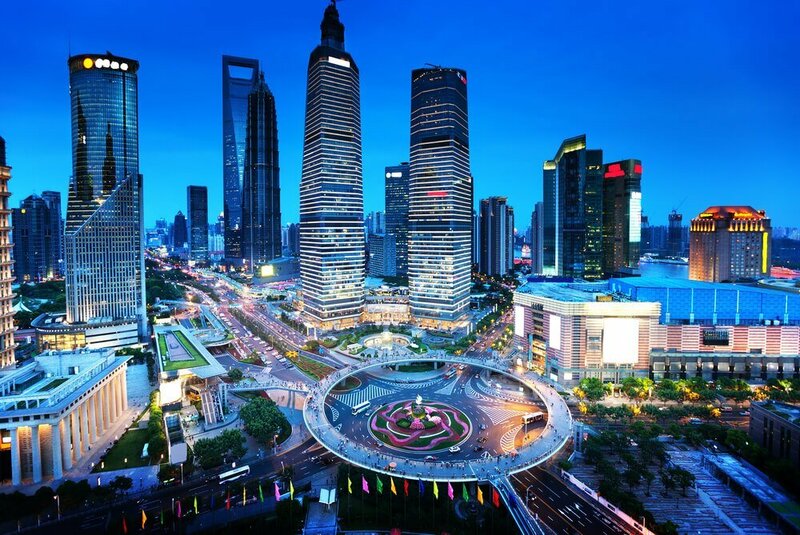 But the truth is, China’s problems are structural in nature—resulting from a centrally-planned economy that goads its citizenry into prefabricated urban areas in order to manufacture a predetermined rate of growth. Nevertheless, what the Chinese government has actually accomplished is to produce a dystopia; one that was erected upon the largest percentage increase in debt the world has ever witnessed. China is home to 18.5 percent of the world’s population. In order to micro-manage all these people, the Communist government has engineered a mass migration from rural areas into urban pre-planned cities. The government claimed this would allow them to better distribute resources. But the government’s biggest fear is a peasant’s revolt. By moving people into highly populated urban areas where they can be placed under constant surveillance by over 170 million cameras, helps Xi Jinping sleep much better. It also helps him implement China’s “Social Credit System,” where people gain and lose points by conducting their lives in allegiance with government policies. This is not a monetary reward system, but one where freedoms must be earned from autocrats instead of ordained by God. Since 1995, the amount of Chinese living in urban areas has doubled from 30 percent to 60 percent. Yet, even with this huge relocation, over 22 percent of these dwellings remain vacant. This is because relocation plans went into overdrive during the worldwide financial crisis. What started as an exercise in state control, morphed into a Keynesian style unproductive jobs initiative. With this, China’s debt has risen from $2 trillion in 2000 to $40 trillion today. Mortgage loans have grown eightfold in the past decade. 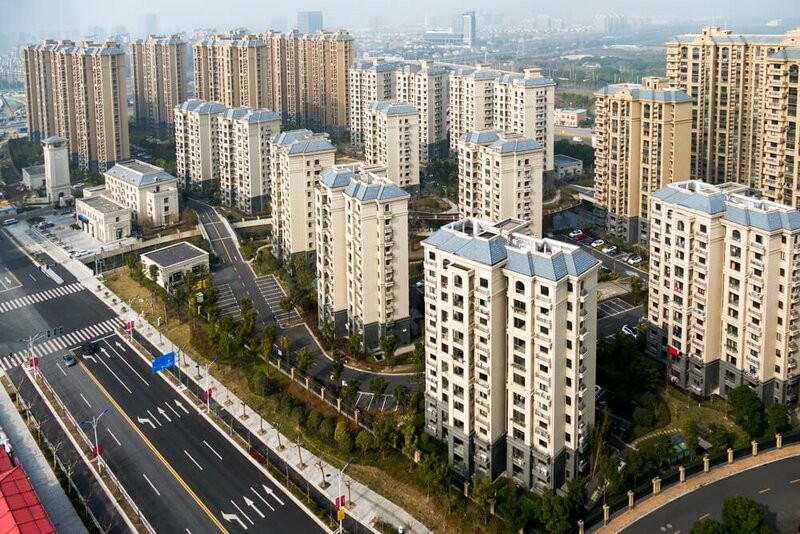 Loans on empty homes in China grew to 4.2 trillion yuan, on what is estimated to be 50 million vacant apartments. There were 22.4 percent vacant homes in 2013. That number is up from 20.6 percent in 2011, according to the Research Center for China Household Finance. This centrally planned rural exodus has created an enormous real estate bubble. Therefore, home prices are trying to be stabilized by the government, which purchases the surplus inventory. But, this is becoming increasingly difficult to manage because the value of the yuan is coming under extreme downward pressure. The government now has a balancing act dilemma: print more yuan to support the real estate market and the economy or allow the housing Ponzi scheme to collapse. In some areas, home prices are already declining, forcing sellers to cut prices by 30 percent. The Chinese economic smoke screen is also showing signs of fading in the automobile industry, which was once viewed as a bottomless pit of opportunity and growth. October auto sales numbers, according to the Wall Street Journal, were down 12 percent year over year. China’s slowdown in consumption is partially the result of a persistent bear market in their stock market, which is down 25 percent year to date and has crashed over 50 percent since its 2015 high. This equity-market carnage has had a huge negative effect on disposable income. Also, adding to investor uncertainty is the record wave of onshore bond defaults by Chinese companies. These defaults have shaken the faith of the country’s bondholders and created doubt among international investors, who have only recently gained access to the Chinese bond market. Chinese banks have as much as 2 trillion yuan ($287 billion) of nonperforming loans on their books—at least that is the amount that they are admitting to. Rather, look for this to provide just a relief rally across financial markets. But that should prove short-lived, as the Fed continues to slowly raise interest rates and burn $600 billion worth of cash during fiscal 2019. And, as the ECB shuts down QE entirely in December and prepares to raise rates later in ’19.